Samajwadi Party president Akhilesh Yadav on Saturday alleged that the Bharatiya Janata Party-led government in Uttar Pradesh was trying to defame and harass its political opponents in the name of inquiries, adding that it would reap the fruits of what it was sowing in the future. The former Uttar Pradesh chief minister also accused the Yogi Adityanath regime of “speaking lies and hoodwinking the people” as regards the projects launched by the previous SP government in the state. “The BJP-led state government only wants to defame and harass its political adversaries, as a result of which senior SP leader Azam Khan is being harassed in the name of recruitment in the Jal Nigam... though this government is not giving jobs, it is raising questions on the ones already given,” Yadav told reporters. “Whether it is the Lucknow-Agra Expressway or the Gomti riverfront project of the previous government, this government is only speaking lies and hoodwinking the people...the political opponents are being humiliated through the investigating agencies...but it is also a fact that they will have to reap the fruits tomorrow of what they are sowing today,” he added. Referring to Chief Minister Yogi Adityanath inaugurating an elevated road in Ghaziabad on Friday, Yadav said it was already inaugurated earlier. “He (Adityanath) charged us with spreading ‘parivarvad’ (dynasty politics) in his speech...I want to ask, which one is the ‘Yadav lane’ on the elevated road (that he inaugurated),” he added. Admitting that he had reached this place in politics because of “parivarvad”, the SP chief said he also had to face several challenges in his political career. “I admit that I am standing here today because of dynasty politics, but I have also had to prove my mettle before the public,” he said and asked Adityanath whether he would have reached this high, if it was not for “parivarvad”. To another question, he said the BJP was worried because of an understanding between the SP and BSP and wondered what would happen when there would be an understanding between “45 political parties” all over the country. 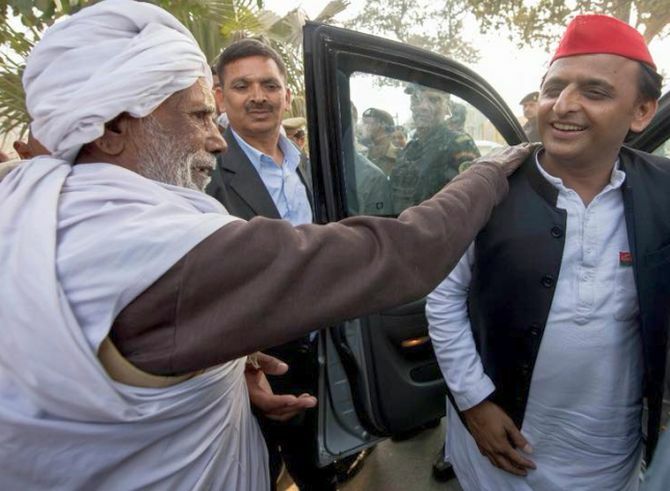 Alleging that atrocities on Dalits had gone up under the BJP-led government in the state, the SP chief asked the ruling regime to do some development work. “Teachers, shiksha mitras and others are getting lathis, instead of jobs...the government is not able to find a way to give jobs on the existing vacancies,” he said. Yadav refused to reply to a query on an “understanding” between the SP and BSP for the coming Legislative Council election.